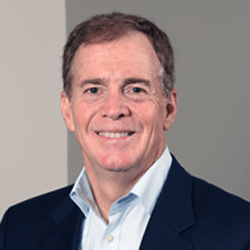 Don Purvis brings to his Association with SOAR Performance Group extensive experience helping field sales and account management teams transform from product/technology focus to customer value focus in order to grow revenues and operating margins. He places a strong emphasis on helping organizations bridge the gap between corporate strategy and sales execution through effective business assessment, process definition and critical skill development for customer-facing teams. He worked extensively with a major global software provider to design, develop and deliver a value-based selling curriculum that was an integral component to their new customer engagement model. This new model allowed them to increase revenues and average deal size while decreasing time spent in product demonstrations. Don also worked with another large multinational corporation to roll out strategic account management, value-based selling and opportunity management. The strategic account management program stabilized a $50M annual revenue stream and reduced the number of potentially defecting strategic customers by 90% and the opportunity management program resulted in a 10% increase in revenues for two years running. Other significant projects include company-wide deployments of consultative selling skills and sales coaching programs. Don has held various sales and sales management positions including ten years at SAP, six years at Management Science America / Dunn and Bradstreet Software, and two years at Progress Software. At SAP he led a team in the deployment of a new customer engagement model in the Americas and spearheaded the value-based launch of CRM and SCM solutions. Don lives in Atlanta, Georgia, graduated from the University of Florida with a Bachelor of Science in Business Administration, and has a Masters of Business Information Systems from Georgia State University.